A talented and smooth guard who can play on or off the ball and has big time scoring ability. 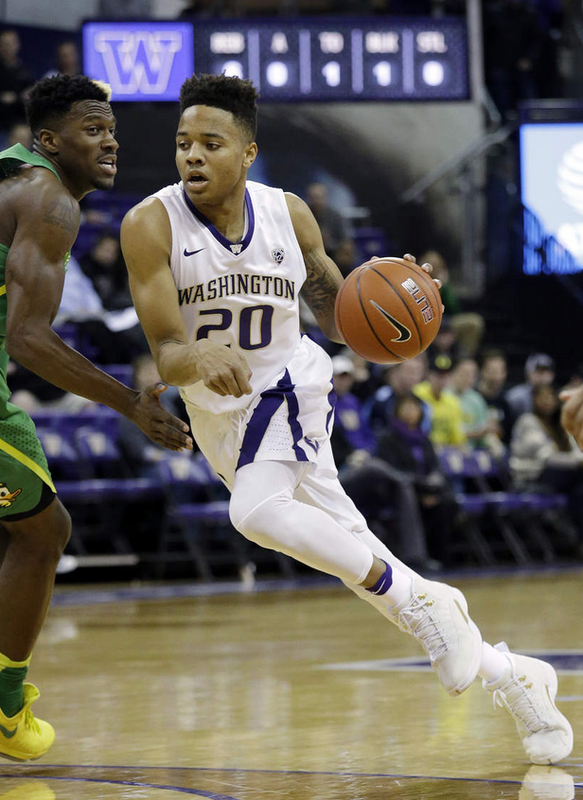 Fultz is a big time athlete who's physical profile is similar to Russell Westbrook. He can get to places on the floor more quickly than anyone else, which makes the game come easy to him. He's very skilled with the dribble and at making plays in the lane. He's got a lightening quick first step and is always a threat to take it to the rim. A fluid and smooth athlete who has all of the raw ability to become a star at the NBA level. He's dynamic in transition, changes ends in the blink of an eye, and his transition game is on an elite level. He plays with his head up and is always a threat to dish the rock, especially with his ability to draw defenders. Above all else Fultz is a natural at scoring the ball. He has a great ability to penetrate and can hit on floaters and mid range shots, or take it to the rim. His shooting form is compact and quick, with effortless range to NBA three. He gets up quick and gets good elevation on his shot and is adept at hitting step back and fade away jumpers, using his quickness and ball handling to get his shot off. He can hit jumpers with seemingly no space, thanks to his quick elevation and quick release. His shooting ability opens up the dribble drive, making him really hard to guard one on one. Fultz is all about speed. He plays a fast game and is always in attack mode. He hustles up and down the court and impacts many aspects of the game, from defense to rebounding, passing and scoring the ball. He shows flashes of lead guard ability and has the potential to be a true floor general. He'd have a lot more assists this year if his teammates could hit shots. Defense is an area where he has great potential and also a lot of learning to do. He's got wiry strength and good length for the position and all of the tools to become a standout defender. He's very quick to contest jumpers and he has great chase-down ability and is a high level shot blocker for a guard. His potential coming into the draft is on par with past PG's who went #1, such as John Wall and Derrick Rose. 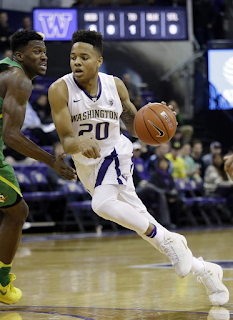 Fultz has just one glaring weakness in his game, and also a lot of work to do on all aspects of his game before becoming a finished product. Free throw shooting is a big concern, at below 70% during his freshman season. It might be a small sample size but you need to have a PG who can hit free throws. He's got good mechanics and will likely get his percentage up to a decent level as he matures. He needs to continue to develop his passing and decision making and learn to stay under control on the dribble drive. He can get caught up in the 1 on 1 game and forget to run the offense. He can be too predictable on his moves to the basket and tends to switch back to the right hand to finish. Developing his left hand will help him a lot. Although he was only a freshmen, it would've been nice to see him take on more of a leadership role and lead his team to victories. Does he have that it factor and competitive drive that makes the great ones great? Defensively he has all the ability but doesn't always show the passion and intensity you'd like to see. He can loose track of his man and get caught ball watching and needs to show better defensive awareness. At this point he's an average 1 on 1 defender but as he gains strength and experience defense could become a strength of his game. Reminds me of a bigger and better version of Jordan Clarkson with a little Zach LaVine in his game. He's got the upside of a Russell Westbrook or John Wall type of player.